with a security concern, you'll know exactly what to do. We will fully reimburse you in the unlikely event that you suffer direct financial losses due to unauthorized activity1 in your accounts through Scotia OnLine Financial Services2 or through Mobile Banking, provided you have met your security responsibilities. Get to know them before they get to know you! 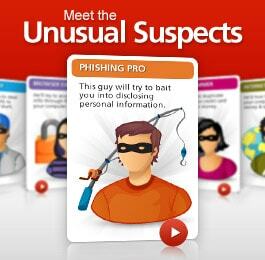 These unusual suspects have only one mission – to find a way to scam innocent people. But if you get to know them now, you can put a stop to their plans in the future. 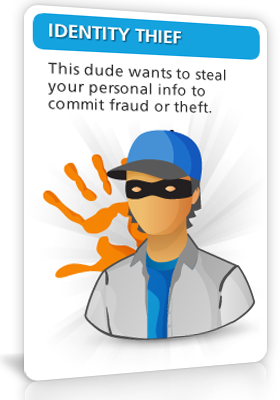 Identity Thief - This dude wants to steal your personal info to commit fraud or theft. 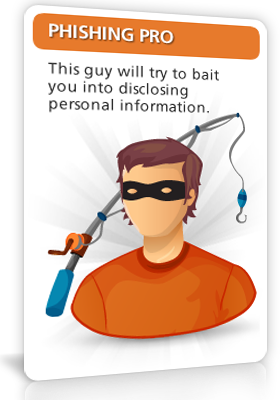 Phishing Pro - This guy will try to bait you into disclosing personal information. Browser Exploiter - He'll try to access your info through flaws in your computer software. Card Skimmer - She wants to duplicate your debit or credit card to take your money. 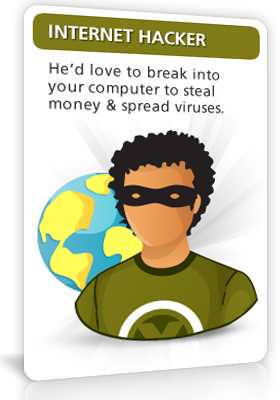 Internet Hacker - He'd love to break into your computer to steal money & spread viruses. The Identity Thief wants your personal information for fraudulent purposes, like opening credit cards, bank accounts and passports in your name. Almost anything is game for them, including your date of birth, SIN, address and signature. What if it happens to me? Watch for new accounts being opened in your name, mail going missing, or collection agencies calling for debts that aren't yours. Do everything you can to ensure your login ID, passwords, and other sensitive information are never stolen by others. Where possible, go paperless. To help keep you one step ahead of The Unusual Suspects, we're creating a variety of fun quizzes, helpful tests and more. So check back soon to test your knowledge! The Phishing Pro will use fake emails and websites to trick you into sharing personal information to commit a variety of crimes including identity theft. Information they're looking for includes usernames, passwords, your SIN, date of birth and more. When suspicious about an email or website look for things like obvious spelling mistakes, urgent requests for personal information and bogus links. The Bank will never send you unsolicited emails asking for your password, PIN, account numbers, etc.  Nor will we ask you to validate or restore your account access through unsolicited email. Download Trusteer's Rapport Security Software – it will help you immediately recognize trustworthy sites. Be careful of callers pretending to be the Bank. If you are suspicious about a website, email, or phone call, do not provide any information. The Browser Exploiter will hack into your computer through your web browser to commit crimes or even take over your online banking session. Plus, he'll use your computer to spread malicious files to others. He's looking for things like your full name, date of birth, SIN, usernames and passwords. 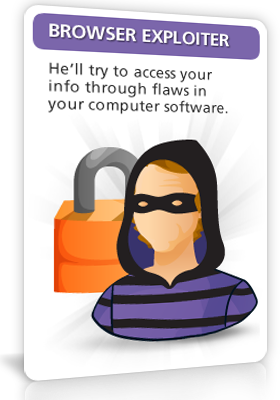 Surf smart – don't click on pop-up windows or install software from websites you don't trust. Keep your computer safe by detecting, blocking and removing viruses from your computer. Monitor your accounts regularly. Get started with InfoAlerts. The Card Skimmer will duplicate or steal your debit or credit card and make purchases and/or steal your money. They're looking for the information on your magnetic strip, like your credit card number, expiry date and last three digits printed on the signature panel, your bank account numbers and signature. Stay vigilant – review all your financial accounts regularly and make sure all expected mail is received. Set up InfoAlerts to stay on top of your account activity. Be cautious around ABMs and at the point of sale, carefully observe anyone who handles your debit or credit card and always protect your PIN. The Internet Hacker will try to get into your computer through weaknesses so they can commit a variety of crimes, like clear out your accounts or spread computer viruses. Information they're looking for includes your name, date of birth, SIN, username, passwords, and more. Never accept requests to connect with another computer that you do not know and trust. Be mindful if computer performance or software response times are slower than usual. 1 "Unauthorized activity" means a transaction that was carried out in your Scotiabank account through Scotia OnLine without your permission, authorization or knowledge and where it can be established that you are a victim of fraud, theft or coercion. 2 "Accounts" include all accounts that are accessible through Scotia OnLine.